Rockabilly singer and songwriter Gene Simmons (no, not the long-tongued guy from KISS!) died on Tuesday, August 29, 2006. 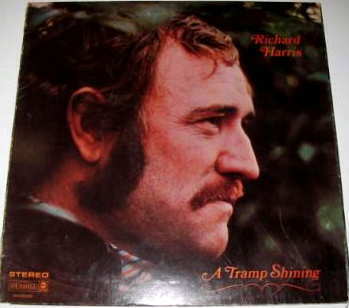 In his early career, Gene was part of the Sun Records list of stars, which included Elvis Presley and Jerry Lee Lewis. He later joined the famous Bill Black Combo as their lead singer, until the untimely death of Bill Black. 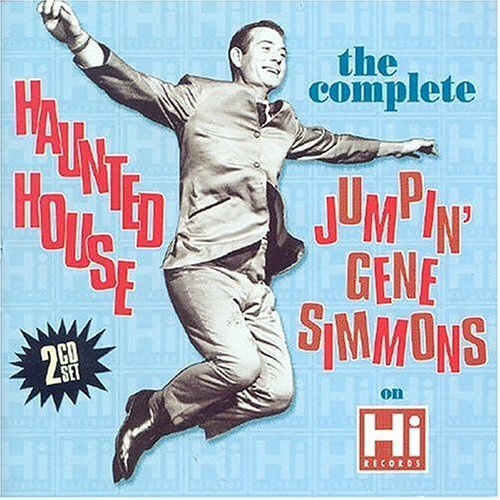 He reached #11 on the Billboard charts in 1964 with his hit "Haunted House". Later he turned his talents to songwriting, including Tim McGraw's first hit in 1994, "Indian Outlaw". I did find a copy of his hit, "Haunted House", and have posted it for your listening pleasure. Maynard Ferguson, one of the greatest jazz trumpeters, died Wednesday, August 23, after a short illness. Maynard's trademark was the ability to hit really high notes, and he made the pop charts with his Grammy-nominated version of "Gonna Fly Now (Theme from Rocky)". He had recently recorded an album, which will be released later this year. The music world has certainly lost one of its greatest, and music lovers all over will miss him and his talent very much. 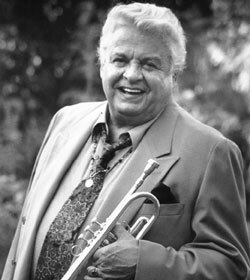 For information about Maynard Ferguson, and to listen to some sound clips, visit his official website: www.maynardferguson.com. Today is my birthday! 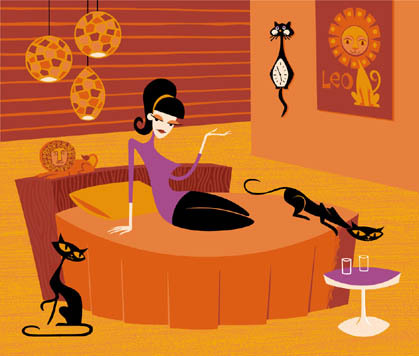 Yep, I am definitely a Leo (if you look closely at my profile picture, you'll see that there's a Leo picture in the girl's room). Since my birthday falls on a Monday this year, I'm not having my birthday party until Saturday, and it's going to be a Hawaiian luau! 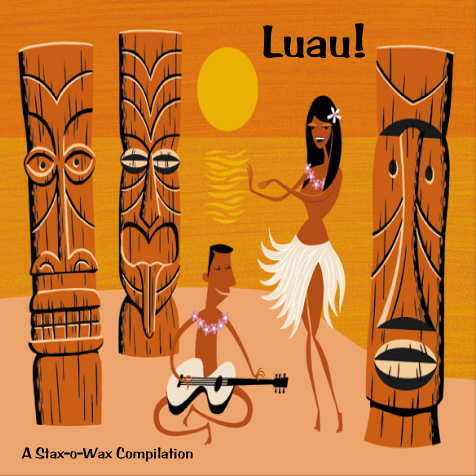 So, in preparation for the luau, yesterday I spent several hours creating three different compilations of Hawaiian music to play at my party. (I did it the easy way and let iTunes pick the songs for me, so you'll find that there are several songs by the same musicians - iTunes picks randomly.) Anyway, since I'd already created these compilations, I decided to go ahead and post one of them. 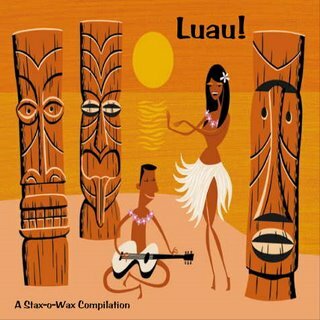 You'll find some more contemporary Hawaiian songs here (such as Israel Kamakawiwo'ole) along with the typical steel guitar type music (Jack DeMello) and even a cute tune from Annette Funicello's "Hawaiiannette" album. Plus, "Hawaii Five-O" is on here! As I said, there's a variety - not just your usual Hawaiian tunes. Hope y'all enjoy it - aloha! I love Eydie Gorme. I grew up listening to her "Amor" and "More Amor" albums. Every weekend, my mother would play those two albums while she baked or did school work (she was a teacher), and I listened while I played with my Barbies or cut pictures out of teen magazines. When my mother passed away in 1993, I (being an only child) inherited her record collection, thus adding to my own already nice-sized collection. I still listen to these albums, and they bring back wonderful memories of being a little girl with not a care in the world. "Amor" is my favorite of the two, so I am posting it in honor of Eydie's birthday yesterday (August 16). If there is enough interest, I will post the "More Amor" album later. Talk about a productive afternoon! I went to the Half-Price Books store in Richardson on my way home from work and bought ten albums from the clearance bin for 50 cents each! Yowza! 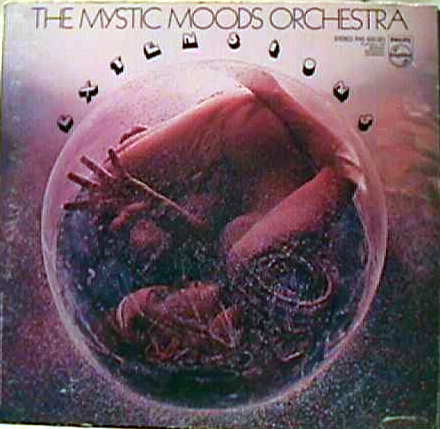 Three of the albums were by the Mystic Moods Orchestra - "One Stormy Night", "Emotions", and "Extensions". I got them mostly for their great covers, and was going to post "One Stormy Night" but found that Mr.Lucky already has it posted on his site, along with a nice little write-up. So, if you love Mystic Moods and are looking for "One Stormy Night", you can find it on Mr.Lucky's World of M (link is gone). And please let him know I sent you! UPDATE on 10/03/08 - by request, I have now posted my own link to this album! Okay! I finally finished my first compilation – a compilation of “summer” songs that hit the Top-40 between 1955 and 1978! Yeah, I know summer is half over – oh, well. There are 28 songs in this compilation and they will all fit on one 80 minute CD. I had a hard time choosing the songs because I have so many summer songs. Finally, I decided to just do songs with “summer” in the title, and only if they had hit the top 40 between 1955 and 1978. Why these dates? They didn’t have Billboard charts before 1955, so I don’t know what songs actually charted – this means that a couple of my favorite songs aren’t on here – and I chose 1978 as the last year to include because I just HAD to include “Summer Nights” from “Grease”, plus I wanted to create a nostalgic feeling. 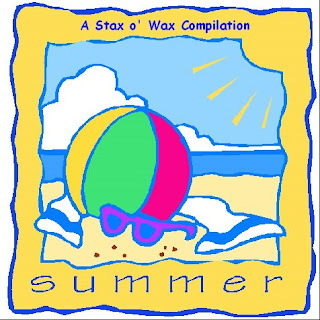 I had two more songs for this compilation, “Summer Rain” by Johnny Rivers and “Summer (The First Time)” by Bobby Goldsboro, but they didn’t fit on the CD when I went to burn it, so I removed them to keep the compilation down to one CD. If anybody wants either of these, I’ll be happy to post them. I also had a song called “Hot Summer Nights” by Night from 1979, but it was more of a hard rock song, so I nixed it. There was one song that I haven’t been able to find, “Summer Set” by Monty Kelly – it reached #30 in 1960. If anyone has it, please let me know! I added links to some of my favorite blogs, so check them out! I've visited all of them and they're all really cool! Unfortunately, one of my favorites, Mondo Daddykin, is no longer around - and he had some GREAT stuff! Anyway, please visit these links - you won't be disappointed! Hello and welcome to Stax o' Wax - my new blog dedicated to those wonderful vinyl records of yesteryear! I will be posting records from my personal collection, which includes quite a variety - "oldies" rock, soundtracks, TV-related, easy listening, lounge, exotica, TV and movie actors who recorded albums, and quite a few strange records. I'll also post my own compilations - in fact, my first post will be a compilation that I'm still working on. So, please be patient - I'm a newbie at this. But, I hope you'll enjoy what I have to offer. And I welcome any advice from those of you who have been at this for awhile!